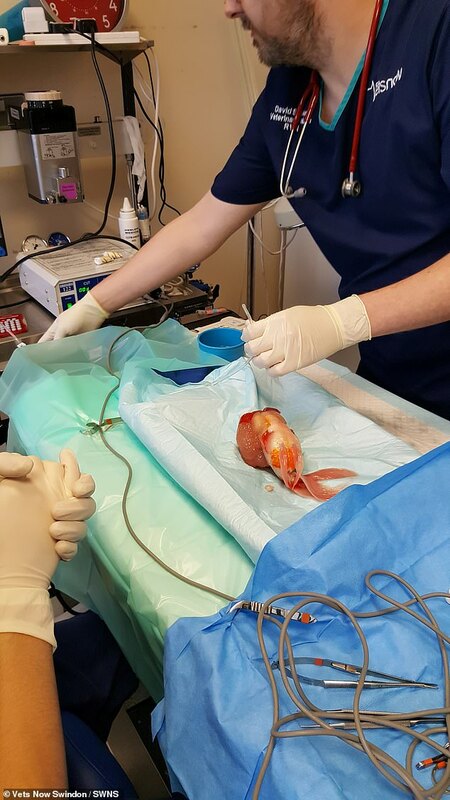 Vets have performed an intricate operation to remove a large tumour from the jaw and restore the eyesight – of a goldfish. Family pet Eric can now swim happily again in his tank after going under the knife for the 30 minute surgery. 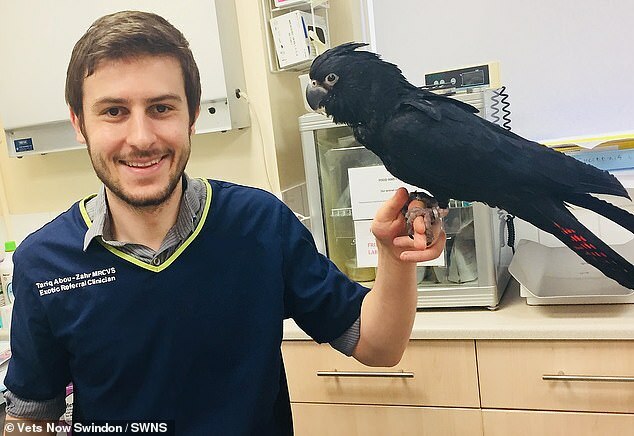 The six-year-old was treated at Great Western Exotics veterinary practice in Greenbridge, Wiltshire, after his owner became concerned about the large growth in his mouth. 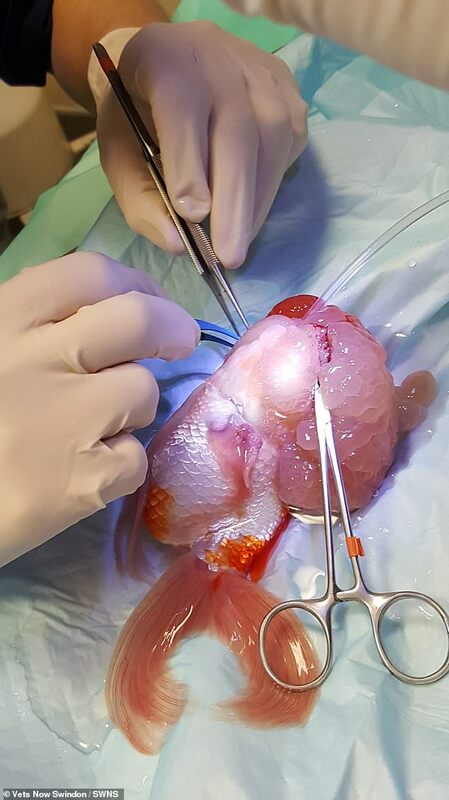 Dr Tariq Abou-Zahr, an exotic animal enthusiast and zoological specialist, carried out the operation. 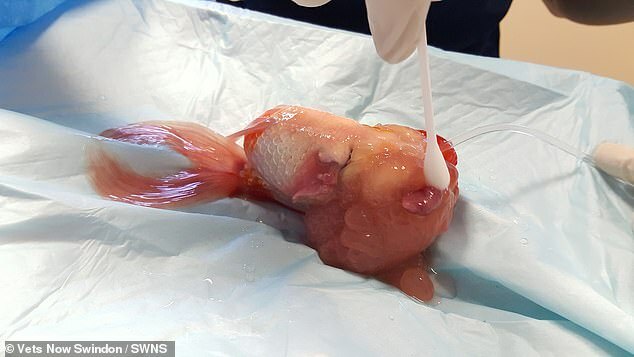 He said: ‘Eric was anaesthetised using a special fish anaesthetic placed in water. The team used electronic forceps to control Eric’s blood loss during the operation. ‘We then used radio surgery and very fine surgical instruments to remove the tumour beneath his jaw,’ added Dr Abou-Zahr. He said: ‘I do see the occasional fish, we probably operate on one fish every six months. 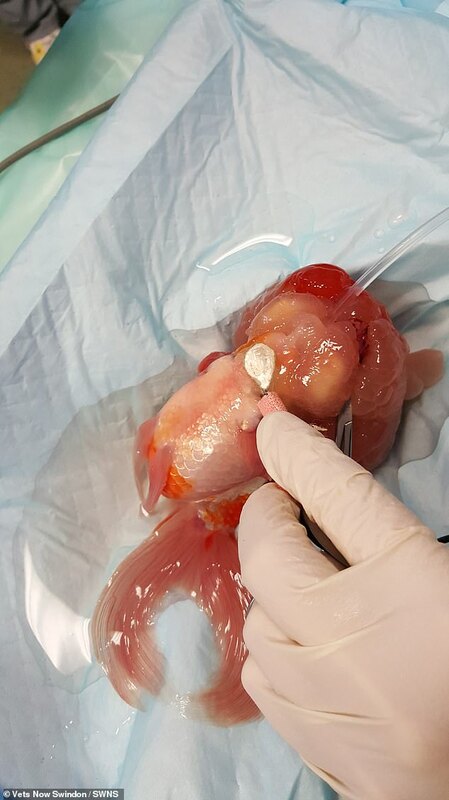 ‘Fish are pets like any other animal and it’s nice to get an owner that is willing to give them the best care and attempt to get them sorted when they are poorly. ‘I’ve actually only performed this kind of operation three or four times before. Vets say Eric has recovered well from his surgery and is back swimming in his tank.